Stephen Colbert’s “The Word” set the standard for blowhard pundit satire. I just couldn’t help wondering what it would look like to apply the same treatment to the king of blowhard pundits. In his latest paranoid obsession, Bill is seeking to expose TV critics as another flank of the secular army that is advancing on him. He simply cannot accept the possibility that the reason they give him bad reviews is that they have good taste and recognize a moronic blowhard when they see one. In this Memo, Bill tackles a subject of which he is exceedingly knowledgeable: Hurting America. The only problem is that, as usual, he gets all the facts wrong and arrives at the wrong conclusions. At least he’s consistent. Bill O’Reilly, futurist extraordinaire, explains to all us simpletons why America’s leadership is behind the times. In doing so, he reveals that the real enemy facing the world today is not Al Qaeda, but the Borg Empire. Be afraid. Be very afraid. President Bush takes on the New York Times, and O’Reilly’s got his back. In fact, Billy goes after the whole of the committed left media. He says he doesn’t want to prosecute them, but he does a pretty good job of persecuting them. Gather round as Bill explains the geo-political complexities of the conflict in the Middle-East. By the time this lesson is over, you too will be an expert at building strawmen and posing questions that are deftly left unanswered. In Bill’s world, freedom is a core American value that can only be exercised by majority rule. In his folksy idiom, the folks have the right to decide for themselves which folks have the right to decide for themselves. Bill O’Reilly chooses the aftermath of the massacre at Haditha as an opportune time to praise Bush and Rumsfeld on their management of the war. In fact, he ridicules the notion of accountability and threatens those who are critical of military crimes. In other words, Billness as usual. Mexico shocked Bill O’Reilly by making the outrageous request that its citizens not be subjected to rights abuses in the U. S. O’Reilly is now throwing his weight around with threats of boycotting Mexico. Are you getting hungry for some Freedom Tamales? The National Security Agency is collecting data on the phone calls of every American as part of their “Terrorist Surveillance Program”. Apparently, we are all suspects. But Bill O’Reilly doesn’t care. Believe it or not, the left-wing media in America hates Bill O’Reilly. It’s the Secular Media vs. the Traditional Media (traditional?). Well, he’s not going to sit still for that anymore. He’s taking names. He’s making a list and checking it…..well, he’s making a list. Bill goes after the Far-Left Bomb Throwers who don’t seem to have anything nice to say about Fox shill, and new White House Press Secretary, Tony Snow. 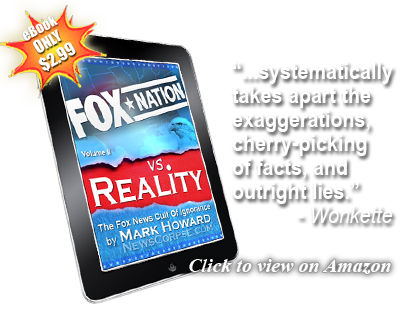 Watch as Bill lays into the disgraceful Howard Dean and His Minions (CD available now). I think Millertime is the only one who laughs with Billo? Miller sure ruined his prospects and his image? 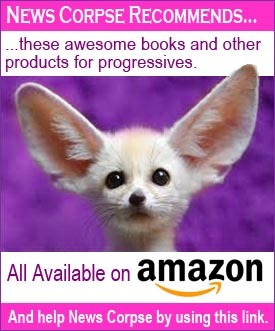 The Fox angry girls along with Julia Banderos and the Kelly file are prom Queen rejects whom battered their dates with high expectations and income Quotes!